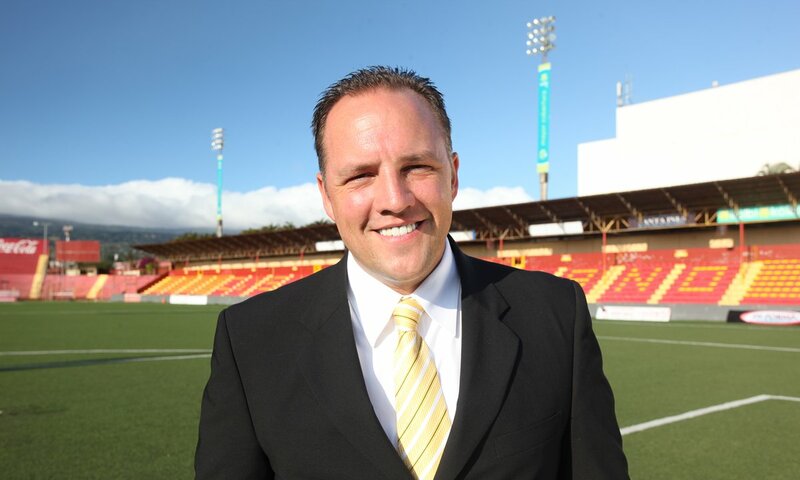 David Patey didn’t even follow soccer when he stepped in to prevent Herediano going bust. Now the club is healthy, and the fans have plenty of goodwill towards their gringo frontman. In the beginning, recalls David, soccer was like sushi. In order to be able to suffer through it, he’d have to pinch his nose before swallowing. But much like everything else, the longer one is exposed, the easy it becomes to stomach. This is just as well since Patey placed himself center stage in an ownership group that had taken over a high-profile soccer team. 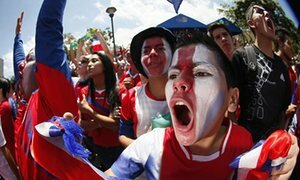 Stranger still: he became the gringo spokesperson of a beloved team in a land where soccer is nearly religious — Costa Rica. "I didn’t even follow football," says the Jerusalem-born, Utah-raised American. "I didn’t even like watching the game. It sounds so silly that I would end up owning a club." But Patey isn’t just another sunstroked American. Far from it. Towards the end of 2012, CS Herediano were reigning champions, but they were also in severe financial straits. The club was mired in a legal dispute between the association that owns the club and the then holder of the rights to run it. Patey has lived in Costa Rica for a number of years. First moving south from his home in Utah with the pretense to learn Spanish, he and his young family eventually settled in Central America, where he began to assume several business interests. In 2012, as Patey tells it, soccer was not on his radar. But he had met the existing rights holder while working on other business deals, and a group of Herediano fans had latched on. Maybe he could help, the story went. In short order, he was being unveiled as the presumptive new rights holder as part of an ownership group that also includes his U.S.-based brothers Mike and Mark, a Costa Rican named Orlando Moreira and Aquil Ali, a Canadian. By the following April, they had officially taken over after signing a 30-year management agreement with the association. "So I tell people I got tricked into it but I liked it," Patey says. Today, he presides over a successful outfit. In his three-and-a-half years at the helm, the club has won two titles and consistently performed well in the Concacaf Champions League. That’s no easy feat for a club from a provincial city, Heredia, a short drive north of the capital, San Jose. On the domestic front, they must compete against a more popular and resource-rich big two: Deportivo Saprissa and LD Alajuelense. On the financial side, Patey says, the club is now in good health. Which is a far cry from when he took over, when players hadn’t been paid for months. The books are balanced. A stadium renovation is in the works. Statwise, they currently sit one point off top spot in Costa Rica’s Premier Division. "Our investment really was very little," explains Patey. "The club has every element for success. Players to export, fans to come and watch the games, sponsors who love to participate, a television station which since has increased their broadcasting rights with us. Its like a household: if you make 10 and you spend 11, in three or four months your credit cards fallen and you can’t pay your bills. If you make 10 and you spend nine, you have one left over for a rainy day." The club makes money every month, Patey says. Of the 146 legal issues pending when they first took the reins, only two remain. But finances are one thing; the local soccer culture another. Patey says he didn’t fully comprehend what he was getting himself in for. Like most Latin American countries, soccer, or football, is akin to the national religion. So Patey bought himself instant celebrity. "A local reporter summed it up later that week," says Patey. "He said the idea that someone could be their lifeline, for a then 92-year-old club to not go away, it means a lot to people." So he has captured the hearts and minds of an often fanatical fanbase. Part of that is also due to the fact that he chooses to position himself in the middle of them. "He was well received by the people since he likes to join the people during the games and blend with them always," says Heredia native and team diehard Johatson Montero. "Even fans of rival teams were enamored. Many marked him out for his amiability and honesty," says Alajuelense supporter Gadiel Alvarado. Which would perhaps come as a relief to local soccer fans who had become acquainted with how else things could turn out. In the past, the Costa Rican game has attracted ownership figures whose business dealings were later called into question. At least one ended up in jail in the United States for crimes involving fraud and money laundering. Not long after Patey and his group took over, national newspaper La Nacion raised the point of previous owners of Costa Rican clubs found to be involved in murky business activity, forcing Patey to vouch for the integrity of the group and their cash. In previous media interviews, he has taken pains to distance himself from such notorious characters of yore, which raises a general sentiment of goodwill that seems to surround his persona in Costa Rica. "Someone once put up a picture on social media," says Patey, "and it said: "No matter what your team is, its impossible to hate this guy." And I took that as a compliment." The Costa Rican national team made great waves at the last World Cup in Brazil in 2014. The current generation of Ticos players might be the best ever. The country’s domestic game pales in the shadow of the bigger and financially bountiful leagues of Mexico and the United States regionally, but Patey senses great potential for development from the grassroots up providing a significant pool of talent. In the case of Herediano, the commercial aspects of the planned stadium redevelopment aim to make the club not only self-sustaining but provide excess for team affairs. He offers a terse commitment: "Our goal is that this club will never go through financial trouble again." Still, he has no desire to get involved in another pro soccer venture — back home in the United States or otherwise. "There’s a lot easier ways to make money than in sports teams. I mean, these are passions. A lot of people get involved in a sports club because they love the sport, they’ve got a check book to do it. I was just lucky enough to be in the right place at the right time."